Open Daily: 7 a.m. – 10 p.m.
A hoop with complimentary basketballs is available for use on the tennis courts. 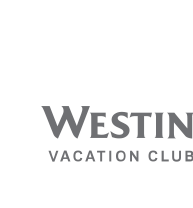 Make reservations at the Westin® Kids Club between 9 a.m. – 5 p.m.
Make reservations for one of two lighted hard courts at the Westin® Kids Club between 9 a.m. – 5 p.m. Your resort is situated along an expansive stretch of white-sand beach where you can spend the day relaxing under an umbrella or exploring the many water adventures within your reach. From sand volleyball and sand castle contests to a seaside massage and evening campfire with s’mores, the beach is your destination for as much exhilaration or relaxation as you choose. Open Daily: 9 a.m. – 5 p.m. Supervised 7 a.m. – 5 p.m.
Open Daily: 8 a.m.–9 p.m.
Indulge in a comprehensive menu of massages, body treatments and salon services. Choose to experience your treatment amid the idyllic oceanfront setting of a thatch-roof cabana or the privacy of an individual treatment room, where attentive and skilled therapists will leave you feeling renewed and refreshed. Reservations are recommended Spa Menu. Fun for all kids ages 4 – 12, featuring indoor and outdoor play areas, arts-and-crafts room, game room and lounge. Located within the WestinWORKOUT® Fitness Studio, embrace the warmth of the sauna or steam room. Grab the family and play a fun-filled round of mini golf on the 18-hole course. 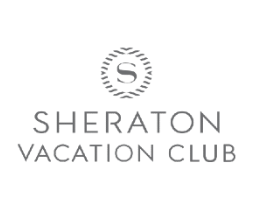 Special rates are available for Owners and guests. Gift Shop and Deli store, daily from 6:30 a.m. – 11 p.m.